BSc (Hons) Film Technology and Visual Effects, will provide you with a unique combination of technical, creative and production skills. We’ll train you to become a versatile, adaptable and well-equipped graduate, with the technical and creative skills needed to perform a variety of roles within film and visual effects production. Designed to meet the industry’s need for highly-skilled, enthusiastic graduates, this course will help you learn how to negotiate challenges and adapt to different technical innovations. You’ll have access to state of the art facilities including the University’s Parkside Media Centre, ensuring you get hands-on experience with digital film technology, digital film production, and VFX. Our extensive course will secure you with the knowledge and practical experience needed for a thriving career in an innovative industry. The film aspect of the course explores the capture and editing of live action video and audio elements, while the visual effects aspect of the course looks at the creation of digital elements, such as creatures and matte environments, and the use of compositing tools to combine these live action and digital elements together, to produce convincing visual effects shots. You will focus on the fundamental mathematics, physics and technical concepts, examining the behaviour of sound and light, the simulation of fluids, cloth, hair and collisions, the digital manipulation of light and sound and more. Upon graduation you could progress into a career as a video editor, cinematographer, CGI modeller, CGI animator, visual effects artist and compositor. The course has a particular focus on technical roles such as rigging, dynamic simulations, shader development and match moving. 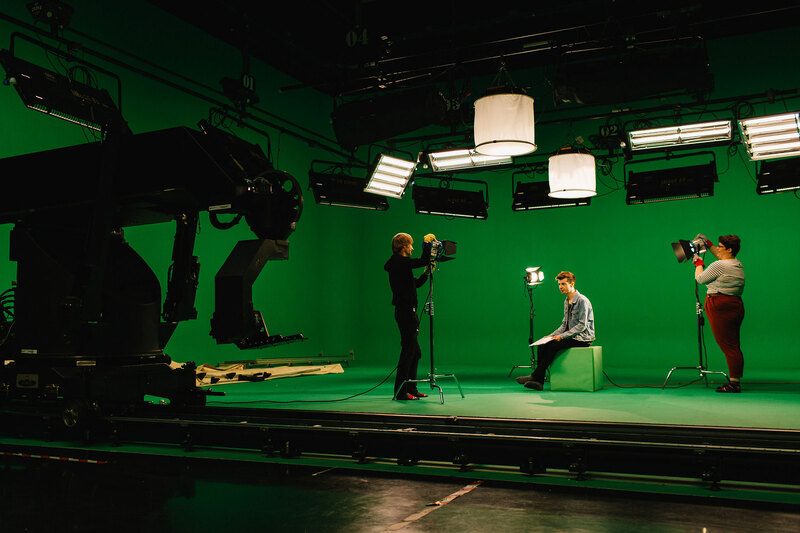 You’ll work within our Centre for Digital Media Technology, using cutting-edge equipment, dedicated green screen studios and several editing stations (and much more). The course explores the fundamental technologies and physics of film and visual effects production, building connections between working with real light and sound and working with digital light, sound, video, geometry and dynamic simulations. You will plan and produce a range of film and visual effects productions, using industry-standard tools such as Nuke compositing software, Maya 3D modelling and animation software, a Milo motion control system, a permanent green screen studio and cinema-style camera rigs. The unique combination of technical knowledge and practical production experience makes our graduates more employable and able to move more quickly into key production roles. The course encourages you to engage with industry, allowing a number of flexible paths to gaining work experience, including basing selecting modules around work experience, taking a placement year and working on commercial productions within the University. GCE A Level/ AS Level BBB or 120 UCAS tariff points from A/AS Level with a minimum of 2 A Levels. BTEC National Diploma (12-units not including early years)/ Pearson BTEC Level 3 National Diploma D*D* or combined with other level 3 qualifications to achieve a minimum total of 120 UCAS points. BTEC Extended Diploma (18-units not including early years)/ Pearson BTEC Level 3 National Extended Diploma DDM - grades. Pass grade combined with other level 3 qualifications to achieve a minimum total of 120 UCAS points. This module will develop your key understanding of audio visual acquisition technologies for digital film production. The module addresses how images and audio are captured using sound and video recording equipment in a film production environment. This module will develop your skills, knowledge and experience of key techniques within visual design industry – more specifically the art and craft of visual communication, visual design and digital asset creation. This module provides students with the technical skills and experience to produce 3D models and renders for use in gaming products and visual effects. A great deal of film production takes place in dedicated studios or sound stages. This generally involves large teams of people working in departments within a specified hierarchy. This module introduces you to production in a controlled environment, covering both the studio equipment and working practices within a studio. You will gain practical experience through which you can familiarise yourself with the specific roles that different crew members play in the production process. This module provides knowledge and experience of digital video compositing, exploring the fundamental principles and techniques of composing and introduction to professional node based compositing tools. The competent use and application of these techniques are core practical skills within the course programme and fundamentally important to a variety of careers within the visual effects industry. This module aims to develop your 3D animation and production skills, introducing you to core computer animation techniques, such as keyframing, dynamics and animation rigs. You will be expected to plan and produce high quality, 3D computer animations suitable for use in visual effects and games production pipelines. Working as part of a team is the accepted modus operandi of film production, and gaining experience of the collaborative process is an invaluable asset that you can take into your professional career. This module provides you with an understanding of the design and execution of a team production with particular focus on narrative drama. The module provides opportunities for intellectual and creative development through the application of technical knowledge, software systems and design principles to the creation of high quality digital film products. This module will provide a more in-depth exploration of key CGI technologies and technical concepts which are particularly relevant to technical roles in film visual effects and CGI animation. These roles often referred to as Technical Director or TD roles, are based on skills which are in particular demand in the film visual effects industry and align well with the wider aims and philosophy of the programme. Sound is an important element in the viewer’s experience of a visual effects sequence. This module provides you with the technical skills and experience to record, edit and process sound to accompany visual effects. This module provides knowledge and experience of designing and developing bespoke add-ons and extensions to industry standard software. You will learn to programme scripts to make visual effects and games production more efficient and extend the capabilities of existing software. The development and implementation of bespoke visual effects tools is a key part of the competitiveness of games and visual effects companies, allowing them to make themselves more efficient and capable than their competitors. This module will explore the fundamental concepts involved in conducting technical engineering research. It will explore the international standards and theories underpinning engineering testing and analysis. From this module you will gain knowledge to distinguish and appraise technology and understand current technical limitations, thus underpinning studies for your final year technology project and enhancing your routes into technical employment. Acting as an independent production team, this module seeks to develop these skills and further prepare you for the world of work. It provides opportunity to collaborate in a negotiated screen project that can range from a single-camera drama production, through to a small-scale film festival. Within this module you will develop productions that span a number of platforms such as film, games, social media, web and VR. It provides you with an opportunity to work with students from a number of disciplines and develop an understanding of how your knowledge and skills can fit into the production workflow of different media industries. This module gives you the opportunity to explore different approaches and theories as you develop a professional understanding of the industries in which you want to work, with the focus on finding viable routes into employment that use the skill set you have developed while at University. The module will also look at the development and management of the production processes, (commissioning, project development, and revenue generation) contextualising these concepts with real world scenarios. You will develop key skills through an assessment strategy that reflects industry needs. Assessments will be varied and predominantly focused on coursework. The practical application of technology and the craft of production are key features of the course, which are also emphasised in the style and focus of assessments. The first year of the course focuses on developing your fundamental skills and knowledge in using digital video production to capture live action elements, using 3D modelling and software graphics tools to create virtual elements, and using compositing tools to combine live action and virtual elements. 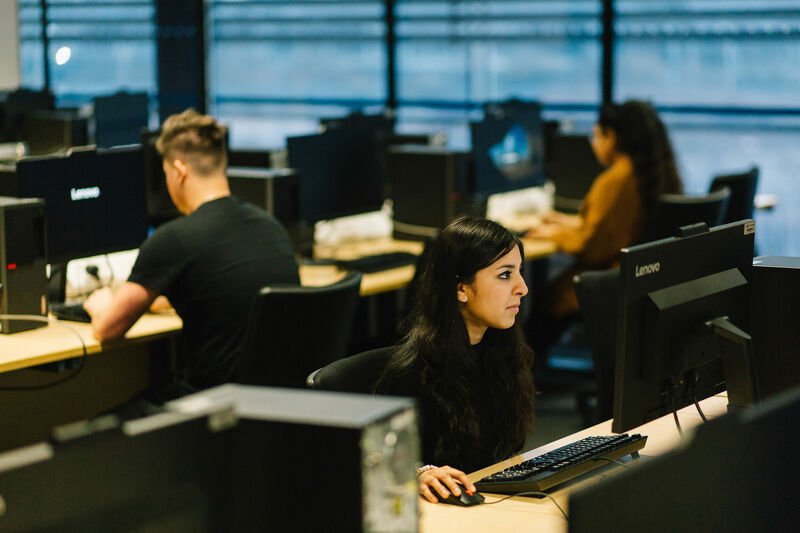 Your skills will be developed further in your second year, with specialist subjects such as motion capture, shader development, dynamic simulations, programming visual effects tools in python, and research and development. You will also experience more demanding and collaborative production experiences. Your final year is about refining your skills and realising your full potential. You will undertake a carefully planned, high-quality film and visual effects production, undertake an investigation (exploring a technical area of your choice), develop a well-defined career plan and examine how your skillset fits into a variety of industries. Callum joined Slinky Productions on a twelve month internship as part of a new partnership with Slinky Productions and BCU. His duties range from production assistant work in the office, to assisting the Directors and Camera Crew for location and studio shoots. In this blog, Callum reflects on his first three months in the hectic world of video production. Oliver Rossetti graduated in 2014. Here he talks about the CVP Prize he won as part of his degree. 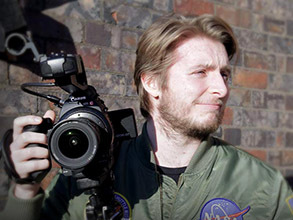 Oliver has gone on to work for the University and has made a number of films, including videos for the Welcome Week site that show new students what the University and Birmingham have to offer. James came to Birmingham City University to further his ambition of pursuing a career in TV and film. 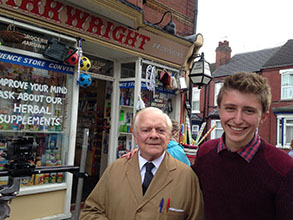 Having taken advantage of the state-of-the-art facilities at our Parkside Building, he has been taking his first steps to building the contacts and experience he needs to succeed in the industry by working for the BBC on the new series of popular TV comedy 'Still Open All Hours'. During my time at the University, I’ve been lucky enough to build a relationship with the BBC. I managed to get three days’ work experience on the 'Still Open All Hours' Christmas special on location in Doncaster where I helped with crowd control, supervised team members, provided refreshments, and most importantly watched over the production. At course completion, there is a high level of interest for further study. This relates to the need to continue to research and practice, as a core activity, but also recognises 2014 statistical evidence from the Department of Business, Innovation and Skills which noted that someone with a Master’s degree earns on average £9,000 more per year than someone with a degree qualification, which, when coupled with the UK Commission for Employment and Skills (2014) observation that one in seven jobs will require a postgraduate qualification by 2022, indicates that the contribution of postgraduate study to employability is increasingly significant. There is currently a shortage of skilled creatives in the CGI and VFX industries, so once you gain your degree the chances of employment in the industry are good – though getting on the first rung of the ladder can still be challenging. Salaries can be high compared to production jobs like camera operators, producers and so on where supply outstrips demand. Engaging with industry and gaining work experience during your studies is essential if you are going to be taken seriously in the job market. Getting work experience in film and visual effects production can be challenging, so we encourage you to be agile. We will also help you engage with a broad range of opportunities, as well as offering options for extra awards and recognition. The second-year Collaborative Practice and final-year Production Project modules have been designed so that you can use your work in industry as a basis for the module’s assessment. Our students have gone on to work at companies such as the BBC, Antimatter Games, S+O Media, Instinct Laboratory, Yamination Studios and Cube Production as animators, visual effects artists, motion graphics designers, 3D modellers and video producers. The broad scope of the topics covered throughout the programme will leave you well-equipped to take on roles in 3D modelling and animation, pre-visualisation, motion graphics, keying, compositing, digital film and video production, video editing and post-production, visual effects, motion tracking, sound production and production management. The course is supported with cutting-edge facilities, including the University’s Parkside Media Centre, which is equipped with over 1,200 sq m of dedicated equipment, including three film/television studios, dedicated green screen studio, post-production facilities, MILO motion control rig, multi-track recording studios, and several editing and grading stations. You have access to the industry standard software used on the course such as Adobe Creative Cloud, Final Cut Pro, AVID and Logic. Most of these tools are also available in our dedicated open access areas and our library which is open 24 hours a day. Laptops can also be hired out used in other spaces within the University. Cameras, light and grip equipment can be hired for free from our hires and loans team. 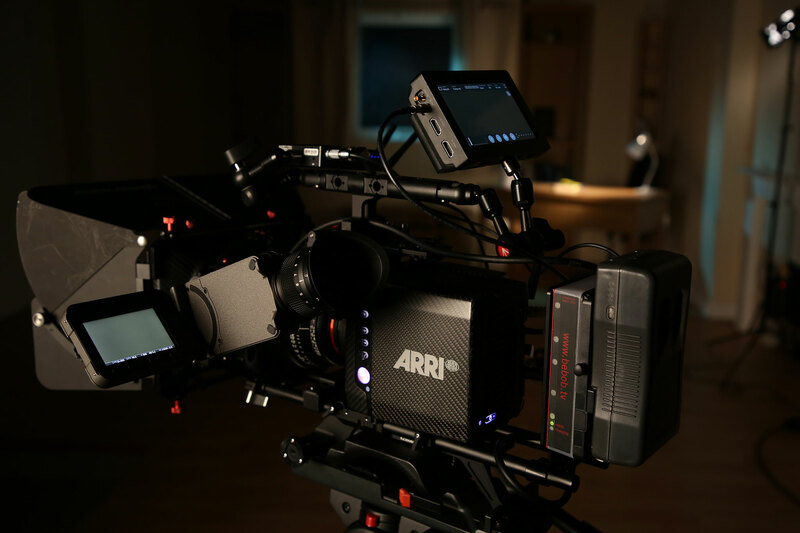 Equipment available includes 4K cameras, high-end HD cinema style cameras with follow focus and matte boxes, a range of DSLR cameras, a range of different lights, soft boxes, flags, reflectors, a range of different tripods, stands, dollies, steady cams and jib arms. Within the Centre there is an internationally recognised research team, Digital Media Technology (DMT) labs, specialising in mixed reality, intelligent animation, automated grading and compositing and human perception. This research team is involved in the delivery of this course, providing opportunities to join them as a post-graduate researcher on completion of the course. Mathew has been working with computer graphics since the mid-1990s and has been involved in moving image production for over 10 years. Coming from an academic background in multimedia, he has extensive experience in real-time computer graphics and rendering, designing and developing user interfaces, games, systems for visualising data and signals, video systems for concerts and festivals, interactive sonic and video installations and real-time generative art. Stephen is a Senior Lecturer in the School of Digital Media Technology. He has worked for five years at the University, teaching video production on various courses. Giving students the skills needed to work in the industry is central to how Stephen Gordon works. Keen to maintain his handle on the world of video production, he keeps in regular contact with those working in the field, looking at new technological developments and how they are being applied in the field. Jay is a Lecturer in the School of Digital Media Technology. Jay has been involved with the delivery of ERDF projects. Since the successful completion of these projects he has moved into teaching. He currently delivers a variety of modules such as Audio Visual Technology, Moving Image Technology and Mathematics for Media.